Now that you know what causes tinnitus within the brain, let’s explore why the transmission of sound might be interrupted in the first place. 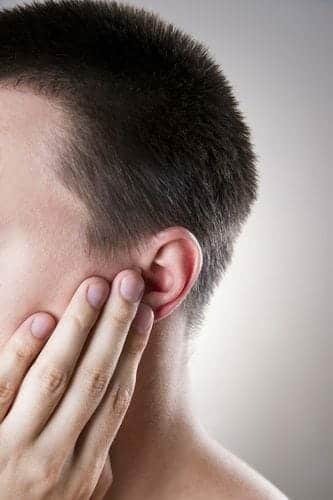 According to the American Tinnitus Association, there are approximately 200 health disorders that can produce tinnitus as a symptom. Below we’ve listed some of the most common catalysts of tinnitus. Sometimes people who suffer from tinnitus are unaware that they have lost the ability to hear certain frequencies. For this reason, it is important that you schedule an appointment with an audiologist, who can conduct audiometric tests and precisely measure the extent of your hearing loss. Ear wax is not the only obstruction in the middle ear that can increase pressure in the inner ear, producing tinnitus. Other examples include dirt, foreign objects, and loose hair from the ear canal. If you experience tinnitus after you begin taking a new medication, contact the prescribing physician. In addition, if you already have tinnitus, let your physician know before he or she prescribes a new medication, as effective alternatives to ototoxic drugs may be available. If you suffer from tinnitus, contact Sound Relief Hearing Center today to explore your treatment options. Our audiologists specialize in tinnitus treatment, and we have provided life-changing relief to thousands of patients through FDA-approved tinnitus treatments. To schedule an appointment, please click here.